Lake Oswego's Jake Dukart just flat got it done this year. During his senior year at quarterback in football, Dukart ran the ball effectively, passed it to devastating effect and led his team to a Three Rivers League co-championship, a state semifinal berth and its best season in five years. In baseball season, Dukart was his team's best pitcher, a defensive stopper at shortstop, a dangerous hitter and its unquestioned leader. In response, he was named to the all-Three Rivers League first team in football as well as the second all-state team, while in baseball, Dukart was named to the all-TRL first team as both a pitcher and infielder, honored as the Three Rivers Player of the Year, named to the all-state first team, and later, drafted in the 36th round of the Major League Baseball draft by the Boston Red Sox. 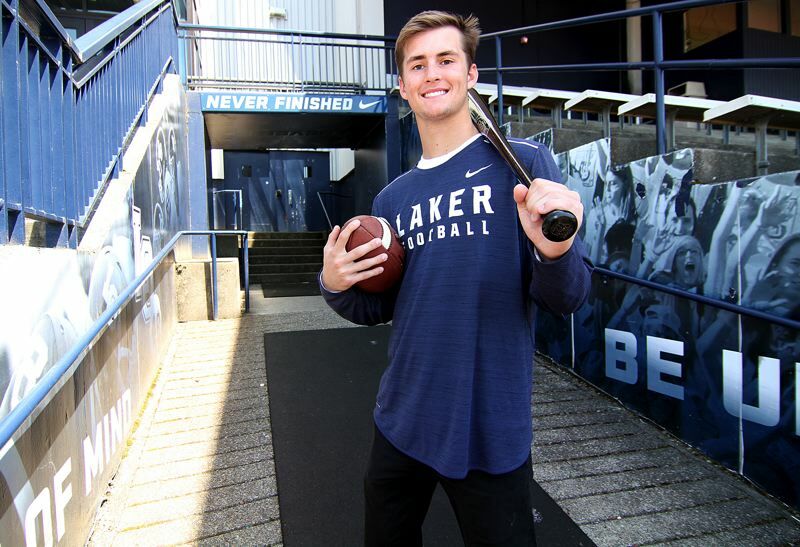 For all those reasons and more, Dukart has been named one of the Lake Oswego Review's two 2018 Athletes of the Year for Lake Oswego High School. The Athlete of the Year honor is awarded to the top senior athlete(s) at Lake Oswego High School. Dukart, who will continue his athletic career next year as a member of the Oregon State University football team, shares the Athlete of the Year award with Laker soccer and lacrosse star Carlie Leach. Dukart's coaches — football coach Steve Coury and baseball coach Jake Anders — knew exactly why Dukart had so much success. "As good as a player as Jake is, he has an unbelievable work ethic and baseball IQ," Anders said. "He never stopped working on his craft, and when guys wonder why he is the player he is, it's because he put in all the extra time." "He's got the 'it' factor — he just has it," Coury said. "He'll make the play at the right time, he'll get the first down … and the moment's never too big for him." Beyond that, however, Dukart left the greatest impression with his character. "Jake is such a good teammate and someone that is as good a person as he is a player," Anders said. "He's a great person," Coury agreed. "He treats people right and he has a lot of respect for people." Coming into the 2017 fall season, Dukart and the Lakers believed they could compete with the Three Rivers League's — and the state's — best. The rest of the TRL and the state, however, weren't quite so sure. After all, the Lakers had gone just 6-5 the year before, and despite their obvious talent, they needed a bunch of things to come together and they really needed to stay healthy. As it turns out, almost all the things that needed to go right for the Lakers did. They started fast, rebounded from an early TRL loss to Tigard, ripped off nine straight wins, took the state's top seed into the playoffs and won another three there before finally falling to South Medford in the Class 6A semifinals. "It was one of the best years I could have asked for," Dukart said. "I felt like we were one of the best teams in the state talent-wise. "Growing up, Lake Oswego was always the best team in the state and we wanted that to be the case again senior year. We just took the group right from the start, worked toward that and it paid off." Dukart said that his hard work, and that of his teammates and the Laker coaching staff, laid the groundwork for LO's stellar 2017 campaign. "Junior year, I was hurt and Shawn (Elliott) was hurt and Dawson (Jaramillo) got hurt," he said. "Part of the reason this year was so good may be because we got in such good shape and took our off days seriously, too." The result of that hard work was evident in all phases of Dukart's game. As a senior, he passed for 2,660 yards with 27 touchdowns and just five interceptions while completing 57 percent of his throws. He also rushed for 152 yards and five touchdowns. "(Playing varsity my) junior season helped a lot, and then I put a lot of my offseason efforts into preparation for football," he said. "Through workouts, film and working with coach Coury and coach (Steve) Smith, my understanding of the game really grew, especially as the season wore on." "It was a pretty cool year, especially with all your best friends out there." Among the many highlights of his senior year, the Lakers' 48-17 quarterfinal rout of Jesuit stands out as Dukart's favorite. 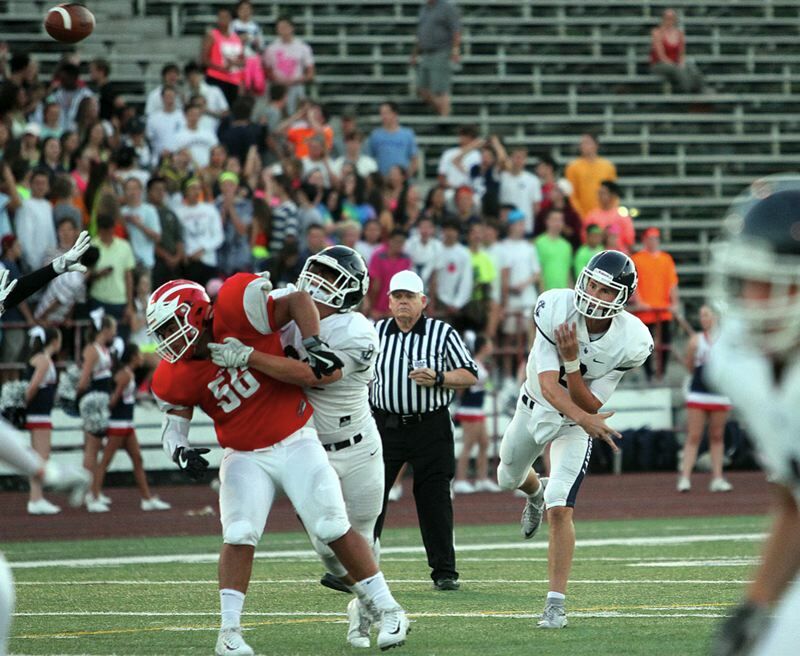 In that game, the Lake Oswego defense shut out Jesuit for the final 28 minutes and 30 seconds of the contest, forced six second-half turnovers and paved the way to the Lakers' runaway victory. "They were No. 8 and we were No. 1, but everyone picked Jesuit to win," Dukart recalled. "But they just fell apart and were getting personal fouls. It was great." For Coury, Dukart's greatest strength was not his powerful arm, but his demeanor. "He's always even keel. When he'd come off the field, you'd never know if he'd just thrown an interception or a touchdown," Coury said, adding that Dukart's attitude extends to people, too. "The guy bringing water out to him and the guys catching his big passes, he treats them all the same." While Dukart did many of the things expected of him during his senior baseball season — leading, playing stellar defense and helping make the LO offense go — he also did something unexpected, taking on the role as his team's No. 1 pitcher. When injuries forced Dukart to lead the Lakers' pitching rotation, he stepped up big-time, going 5-2 in nine starts with a 1.699 earned run average, 87 strikeouts and just nine walks. "It was really fun. I was glad I did it," he said. "I used to just go out and throw as hard as I could." As a team, the Lakers were expecting big things in baseball, too. After all, they returned starters at every defensive position, brought back TRL Pitcher of the Year Alex Giroux, a handful of all-leaguers and, of course, Dukart. Dukart finished with a .303 batting average along with seven doubles, two triples, two homers, 20 RBIs and 20 runs, a .462 on-base percentage and a .494 slugging percentage. 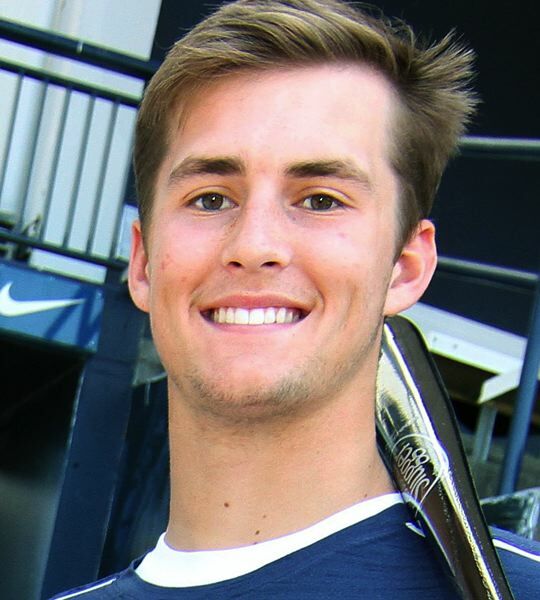 "Jake is right up there as one of the top all-time elite players to come from Lake Oswego baseball," Anders said. "I make the comparison between him and former great Tyler Campbell, who went on to star at Vanderbilt and win a national championship." After starting their year at just 3-6 — including four straight spring break losses to teams from California, Arizona and Colorado — the Lakers hit their stride in Three Rivers play. They went 13-4 in league, shared the 2018 title with West Linn and rolled into the state playoffs with every reason to believe they were a legitimate contender. "We always knew we had a lot of talent, but we needed to play a good all-around game every game," he said. While the Lakers showed an incredible ability to come from behind in 2018, they went to the well one too many times and went there at just the wrong time — in the first round of the Class 6A state playoffs. 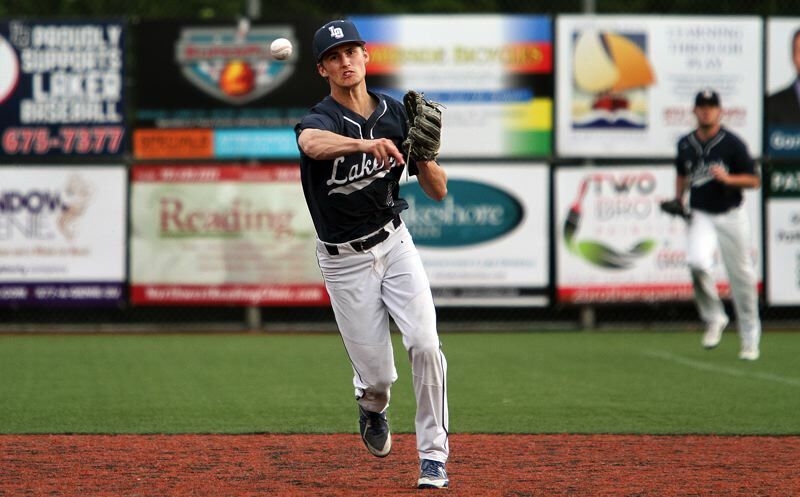 After Beaverton scored four times in the top of the seventh inning to take a 5-1 lead over the Lakers in their playoff contest, Lake Oswego rallied with four runs of its own in the bottom of the frame and seemingly grabbed the game's momentum. But it lasted only a moment. Beaverton came back with a three-run homer in the top of the eighth, and this time, the Lakers could not answer. "That was a tough one," Dukart said. While his senior season ended sooner than he would have liked, there was still much to like for Dukart about his final high school campaign. He had a walk-off double that beat Tualatin, got to compete in the Area Code Games in the weeks preceding his senior season, and best of all, got to play his final season with his best friends. "It was a pretty cool year, especially with all your best friends out there," he said.